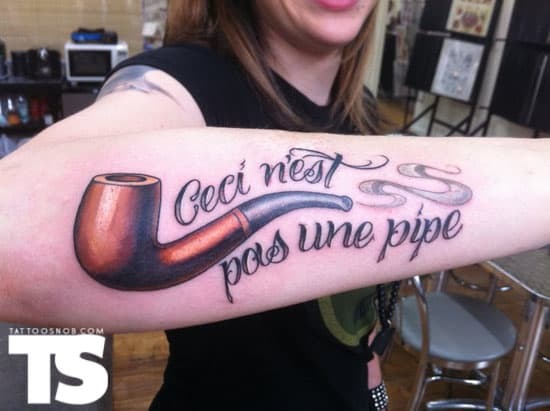 Magritte&apos;s famous This Is Not A Pipe (English translation) is a clever exercise in semiotics, but this tattoo brings the point home further...get it? It&apos;s a tattoo of a pipe, not a pipe. Props to Jon Mesa at Sacred Tattoo in New York City.